Competition is a word closely associated with London Dragway. 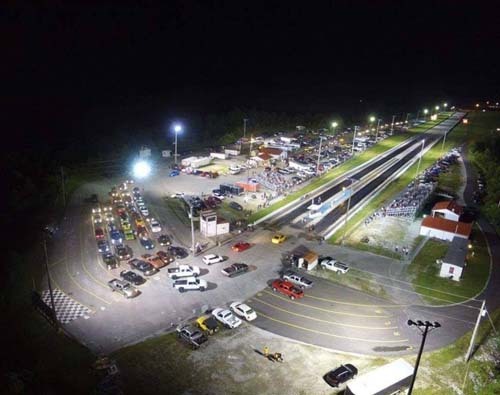 The Southeastern Kentucky facility, which features an 1/8-mile drag strip and several amenities like plenty of paved areas and great lighting, recently agreed to a multi-year sanctioning agreement with the International Hot Rod Association (IHRA). It's the intense weekly competition the IHRA Division 2 (Heat Wave) track is best known for. IHRA championship racing is held every weekend during the season with Outlaws, Outlaw Pro Mods and Pro Street Cars the second weekend of every month. IHRA Summit SuperSeries champions for 2018 were Ian Woods (Top), Toby Daniels (Mod) and Trey Hensley (Junior). Daniels went on to become IHRA Summit SuperSeries World Champion at Memphis in October, but credited his home track for getting him ready for the championship race. "There are some pretty tough ones, quite a few good racers, at London," Daniels said. "I've been racing at London since '98 and am there about every weekend. It's a great crew of tough racers, but they're also like family." London Dragway was also among the top teams in the IHRA Division 2 West Summit Team Finals last season and its group of racers was named the best appearing team. "There's a 'Diamond in the rough' philosophy that goes along with London," said Jon O'Neal, IHRA Division Director. "Except the rough isn't rough. It's the Daniel Boone National Forest. It looks like it shouldn't be there, perched on top of a hill, surrounded by the beauty of nature. I think that's what makes the relatively new and surgery-room clean facility such a draw." For more information about London Dragway click here. For a list of IHRA member tracks click here.